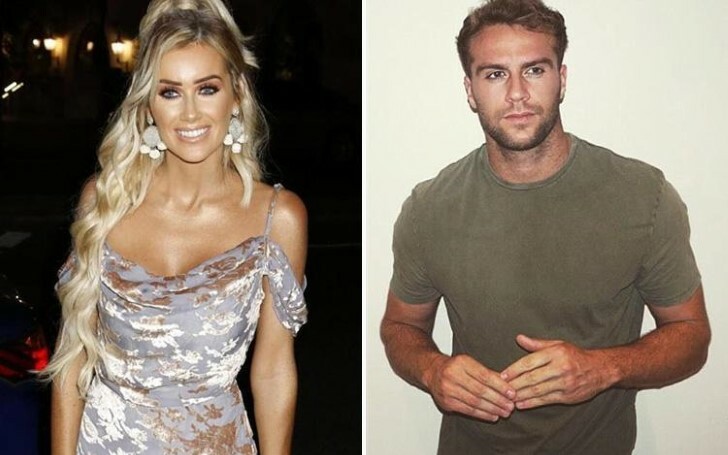 Love Island Star, Laura Anderson has finally moved on in her life after the break up with her ex-boyfriend. It seems like she has found the love of her life as she is enjoying her days with her present boyfriend. Laura Anderson after the separation from her ex-she finally found her man. Anderson started dating Max several weeks after she broke up. Initially, the couple went on secret dates several times and were having a close bond. Slowly, the rumors about their dating started swirling. Later, they took their relationship to the public. After they went public, the couple is spotted at several places on vacations and outings. Previously, Anderson dated her co-contestant from the show, Love Island fourth series, Paul Knops. The couple started dating from the show. But the relationship did not last long and broke up soon in September. "I read something that said she had been dating him for quite a few weeks so... I don’t know if she had. I really don’t know." The star also briefly dated Wes Nelson and Jack Fowler. Meanwhile, Max dated the winner of Love Island first series, Jessica Hayes back in 2015 and broke up soon. He even had an affair with reality TV personality, Charlotte Crosby. Besides, Max and Anderson are having a great relationship together.